Protective cushion located over casing plies guards against inner tube chafi ng for longer tube life and lower maintenance costs. Firm (tight) fit reduces movement between the tire and wheel for improved lateral stability and a reduction of potential tube chafing. 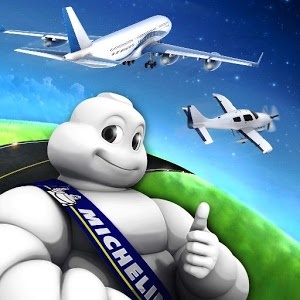 Tire exterior consists of two specialized rubber compounds which are designed to provide Michelin’s longest tire life and lowest cost-per-landing. Sidewall is optimized for both ozone and ultraviolet light protection which reduces ozone cracking in key areas of the tire, and helps prevent premature aging. The MX2000 tread compound is Michelin’s toughest, providing our maximum amount of exterior wear and crack resistance. 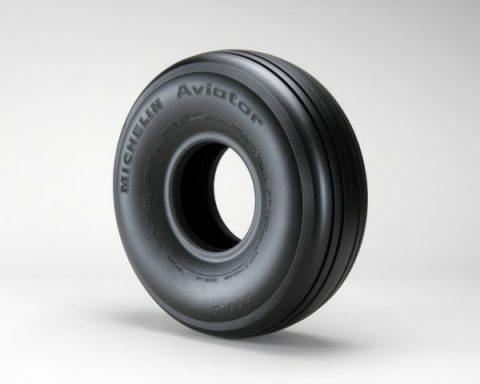 Specialized rubber compounds contribute to long tire life and a low cost-per-landing. The sidewall is optimized for ultraviolet light protection while the MX1000 tread compound provides excellent exterior wear and crack resistance throughout the life of the tire. Advanced production techniques enhance our ability to balance stresses within the tire structure, for an efficient lightweight product with excellent balance properties. Strong, yet lightweight nylon cords are designed to exceed strict industry standards for overpressure strength, and reduce heat buildup for long life and even wear. Distinctive and functional sidewall confi guration helps inhibit premature aging by reducing the number of potential sites for ozone initiation. Contoured shoulder absorbs lateral impacts associated with landing, helping the tire achieve a full life, even under adverse conditions.